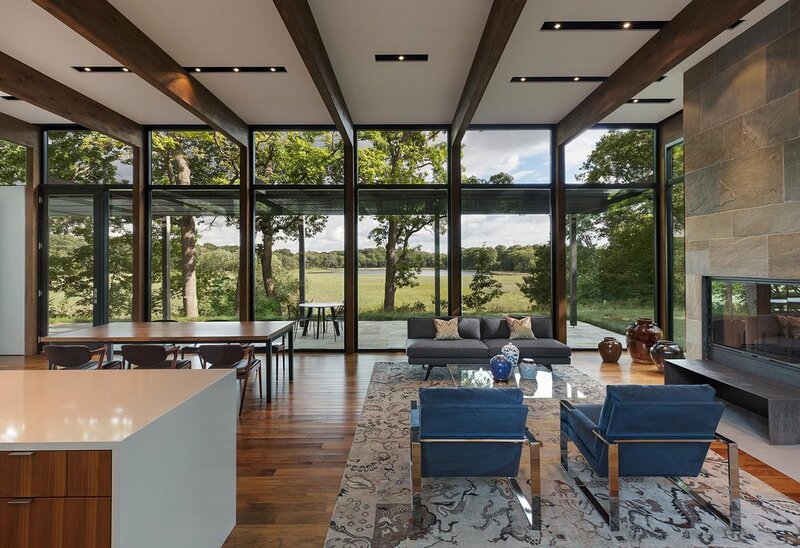 Sited on a wooded plateau overlooking a wetland and lake beyond, this new residence seeks to quietly integrate into the surroundings while capturing dramatic views and optimizing natural light. 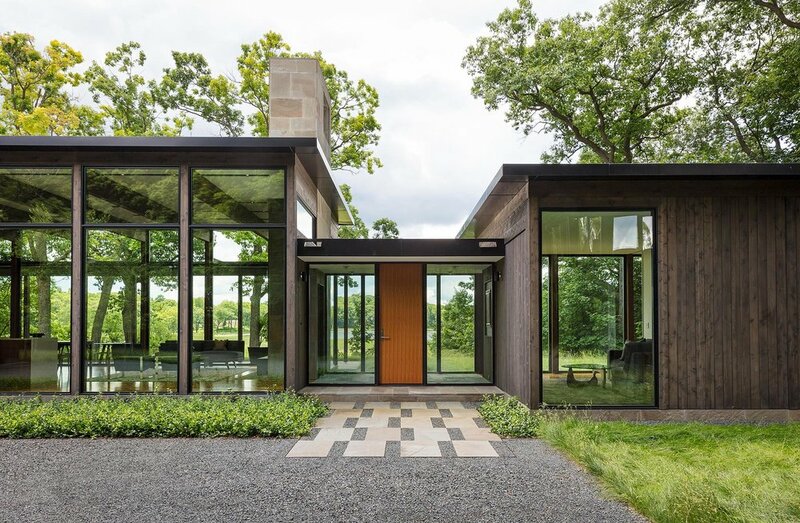 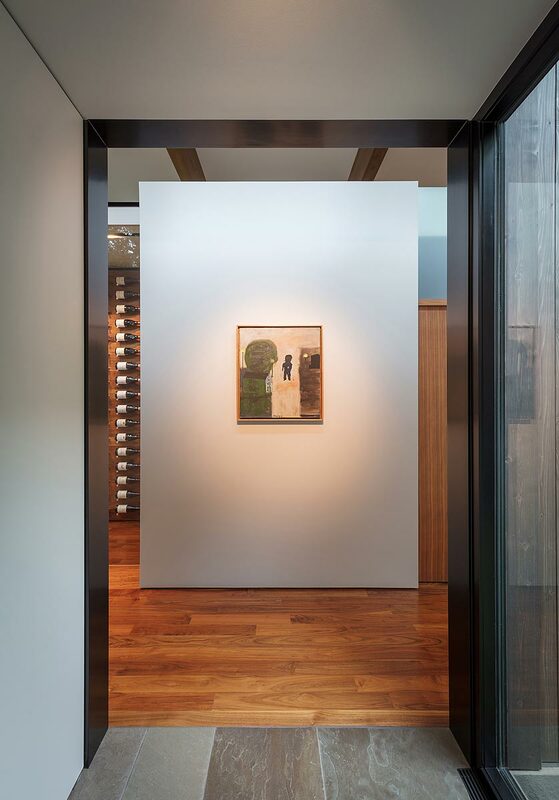 Organized as a single-level home, the "realms" of the program are defined by three wood clad wings that are connected by glass entry links. 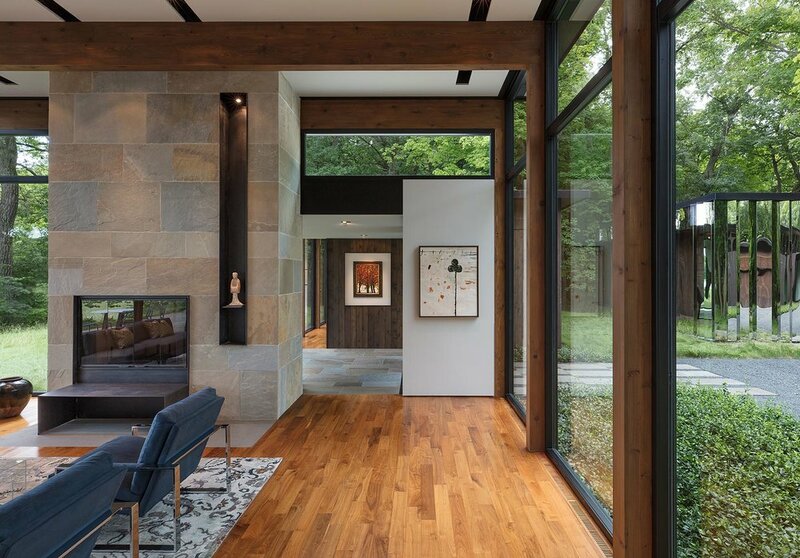 The placement of the wings of the house creates an arrival courtyard complimented by a free-standing "mystery object". 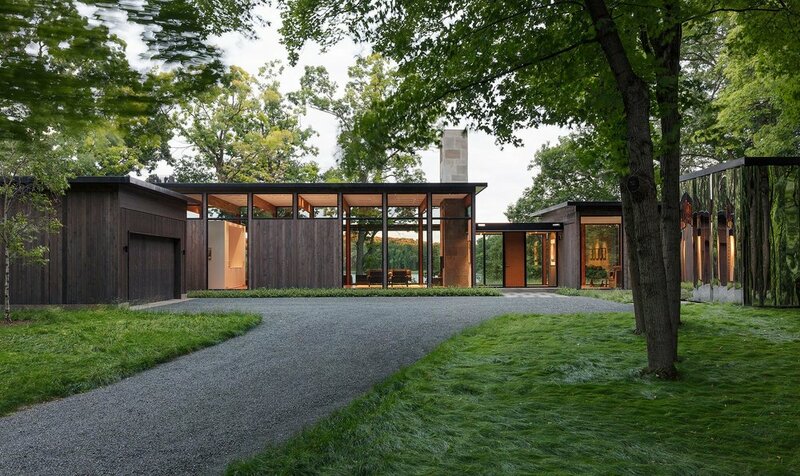 The exterior composition of the house is dark-stained cedar wood and glass with a stone base and fireplace composed of bluestone. 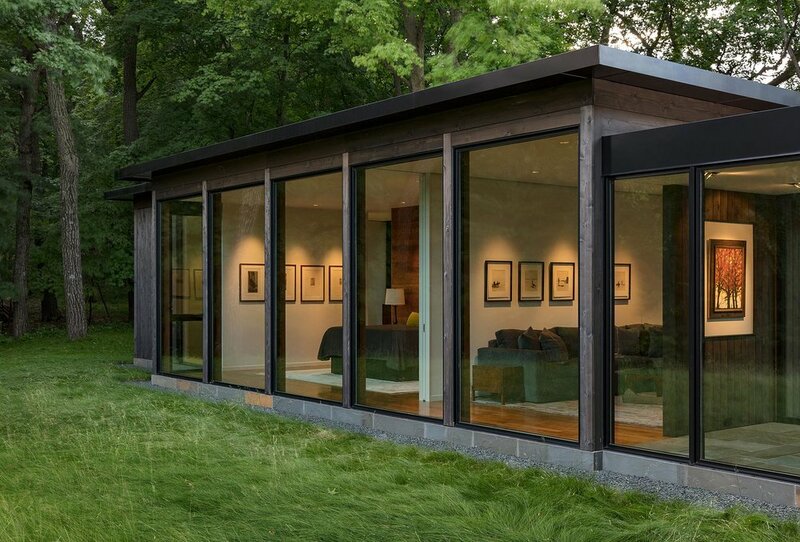 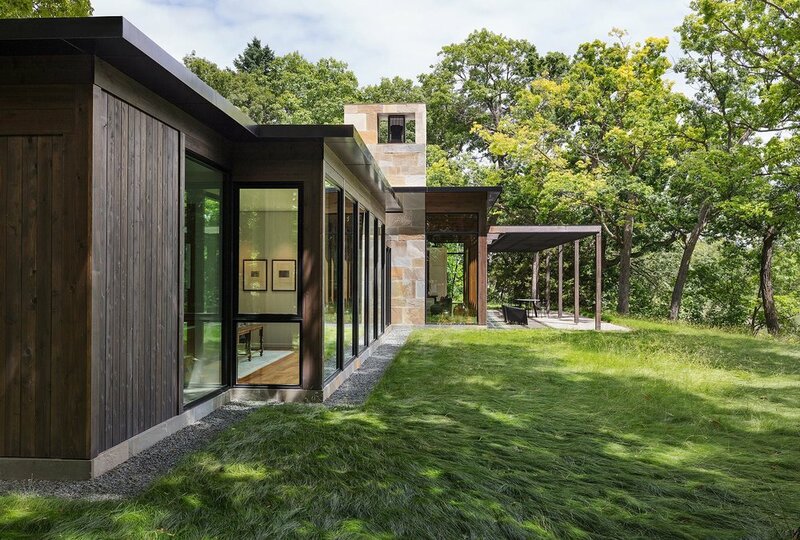 The finish of the wood siding is intended to blend in with the surrounding color of the bark of the trees on the site while the detached out-building, or "shiny shed", for storage is intended to be a foil or counterpoint to the house that dissolves into the woods by fragmented reflections of the surroundings. 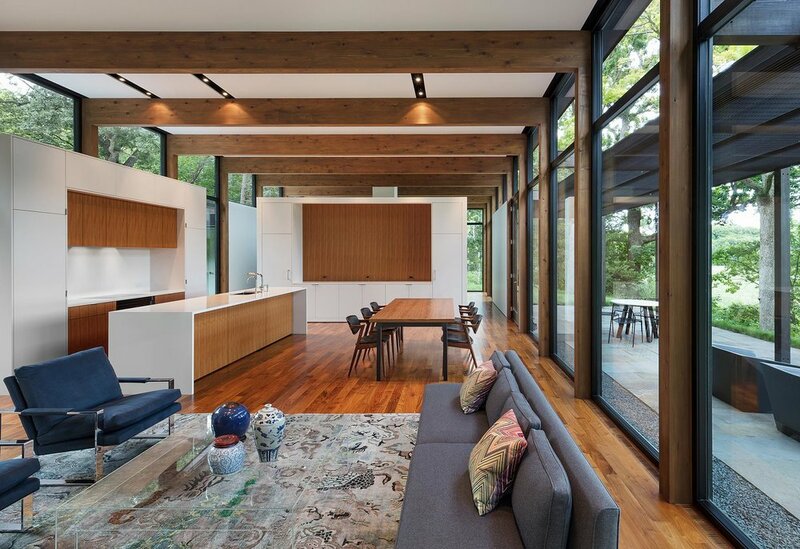 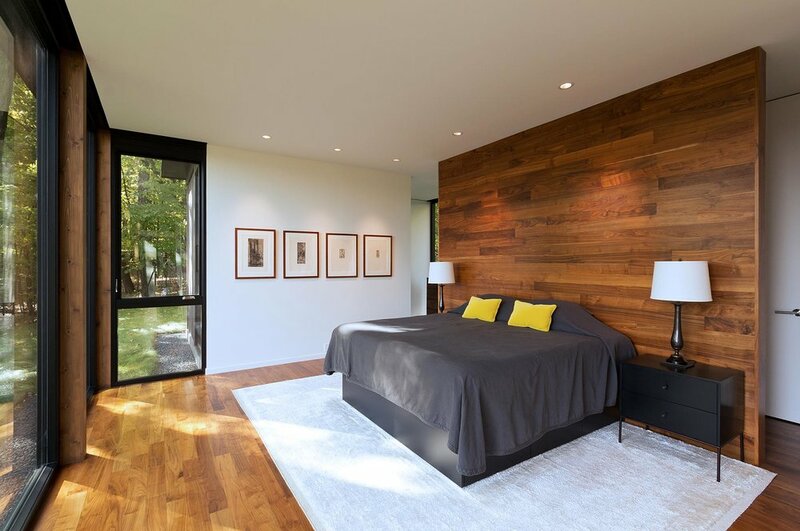 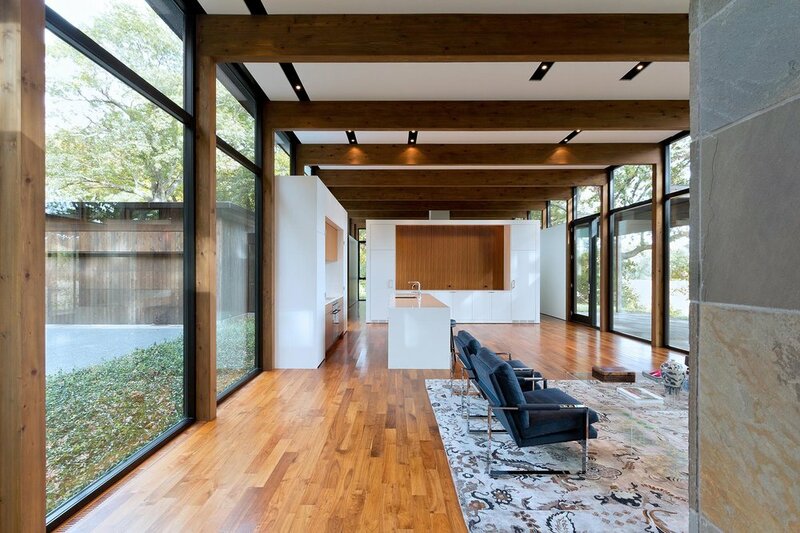 The interior of the home is designed for a couple with a preference for a warm, clean and uncluttered living space. 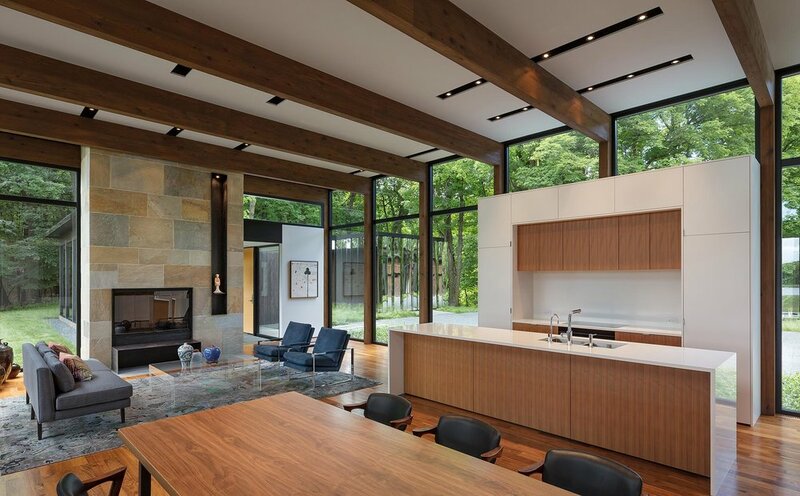 Comprised of walnut flooring, exposed wood beams and unassuming white walls and walnut cabinetry captured within the structural frame and glass. 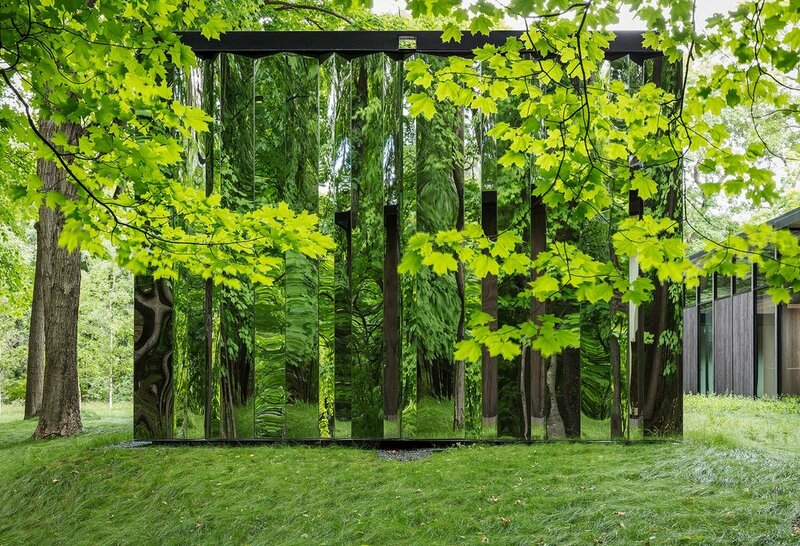 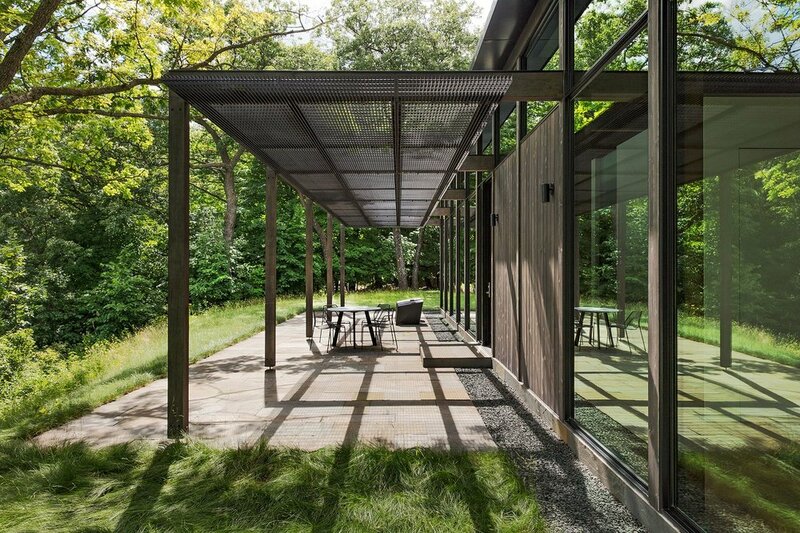 The spatial composition is distilled, creating a consistent connection to its dynamic natural surroundings. 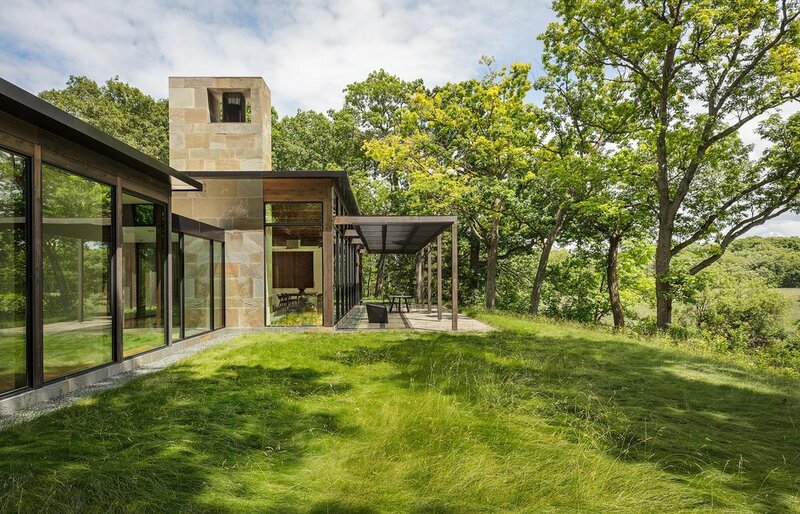 The three realms consist of a living/work wing, a master wing and a garage/workshop wing. 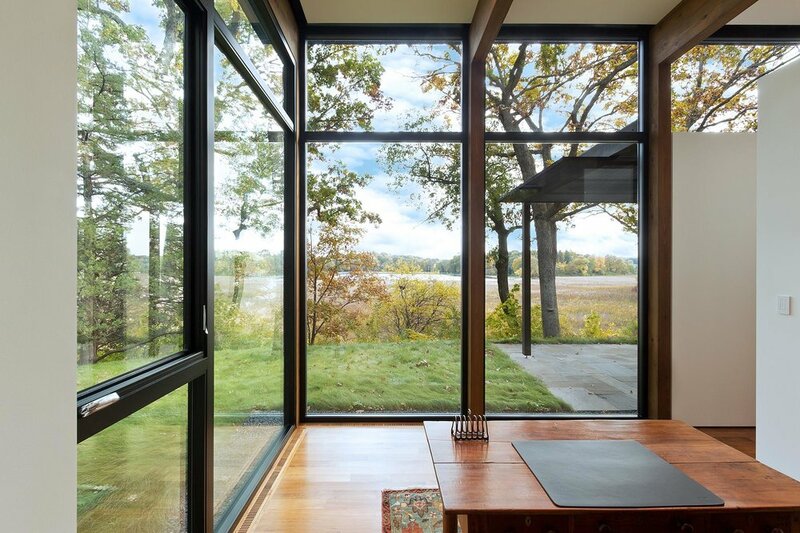 The living/work realm is an open volume that is organized by the placement of a freestanding cube containing one edge of the kitchen as well as utility functions. 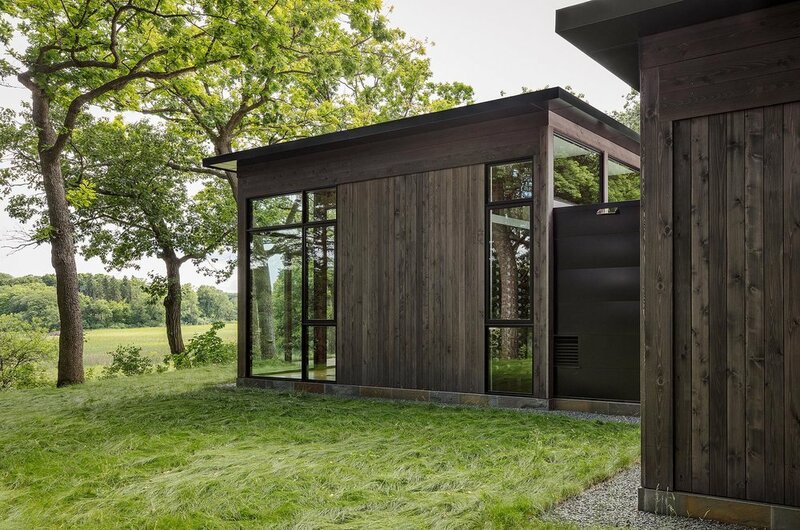 The cube defines a buffer between the living, dining and kitchen from the wine room and office behind. 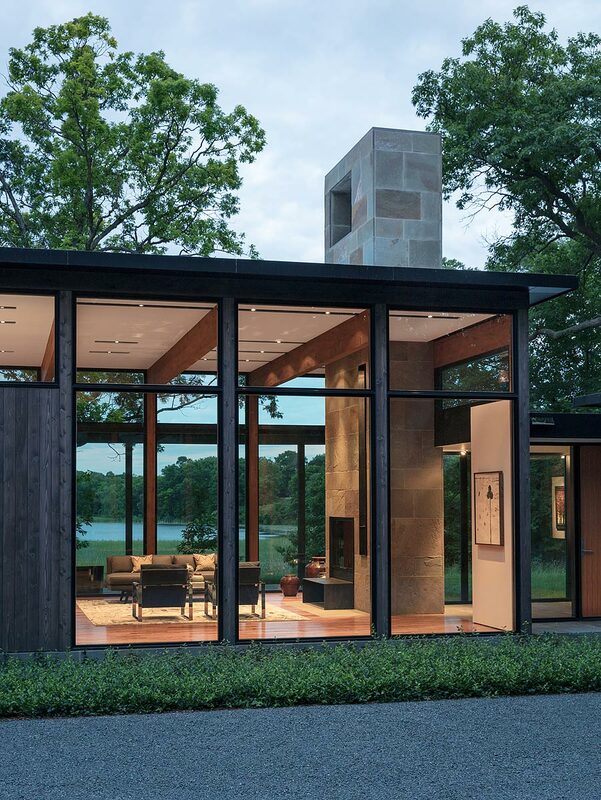 The living space includes a bluestone and blackened steel fireplace and is visually integrated with the bluestone terrace and pergola outside overlooking the wetland below. 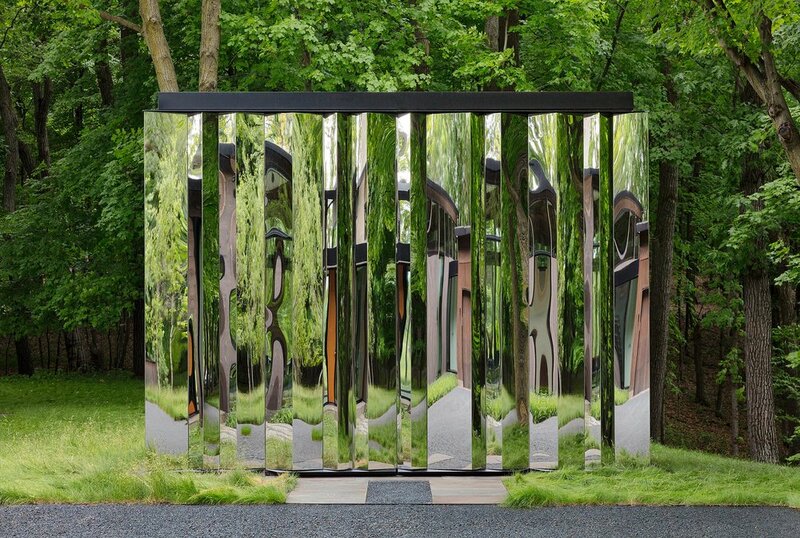 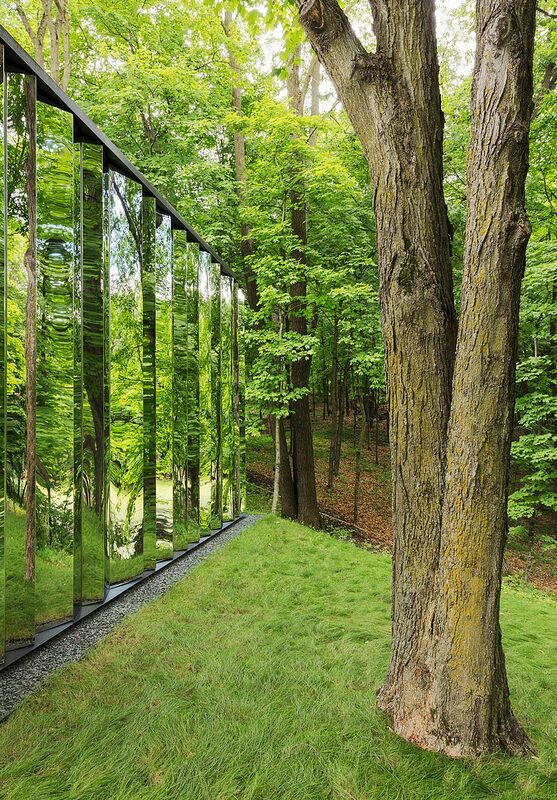 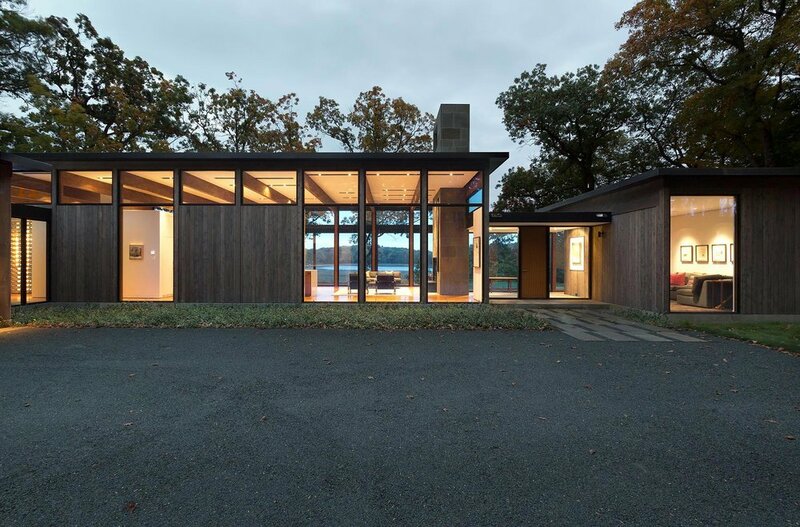 The “mystery object” out-building is visible from the interior of the house as a quiet reminder of the beauty of the surroundings, not as solid object occupying space and views.